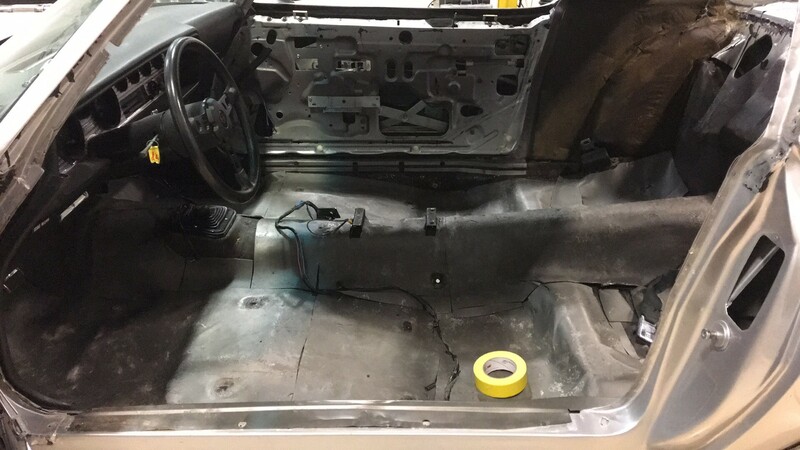 In the world of classic car enthusiasts, horror stories of money-sapping restorations seem to be all too common. 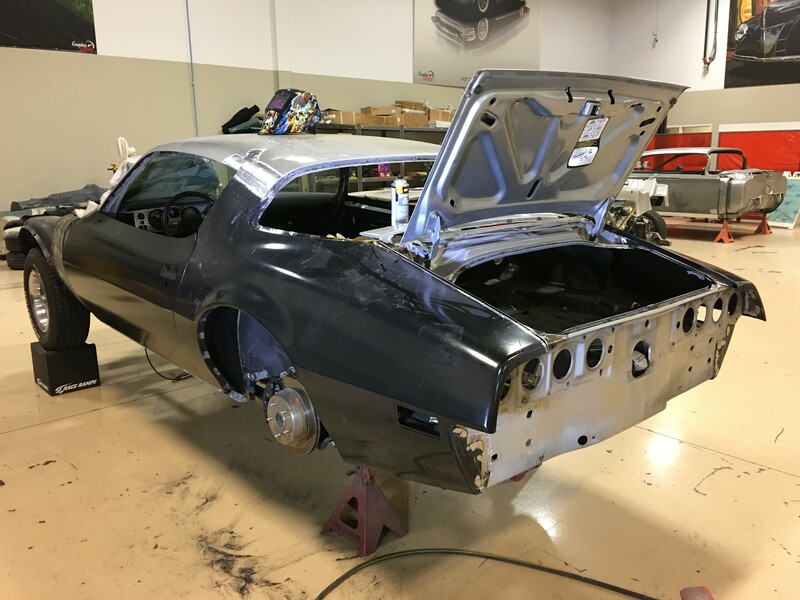 Due to maturation of the business side of the hobby and, due in part to the progression of automotive technology, it’s becoming more and more difficult to find quality work and quality shops. 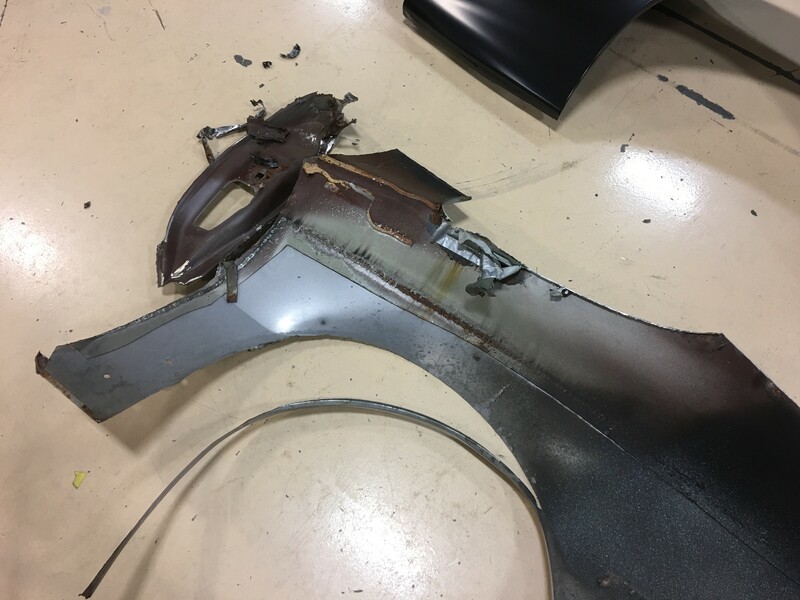 Lately, it seems like we’re hearing a lot of stories that read a bit like a bad version of an Off-Broadway play: a terrible plot, a rotating cast of actors and a lot of wasted money. 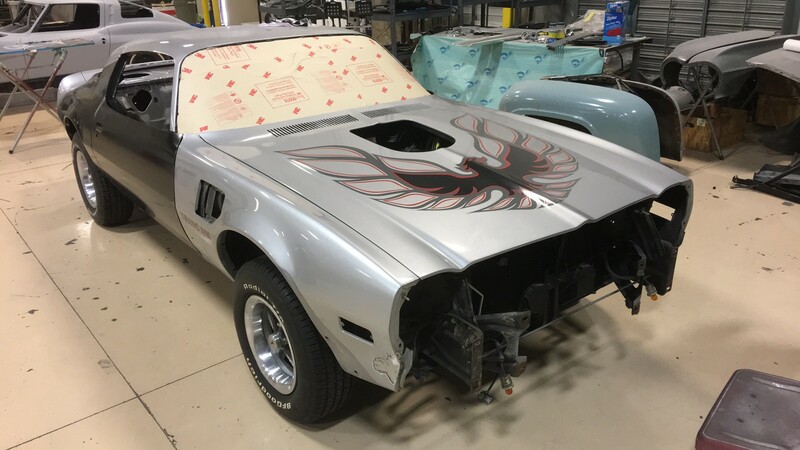 And, unfortunately, that’s where we joined the tale of this awesome Firebird. 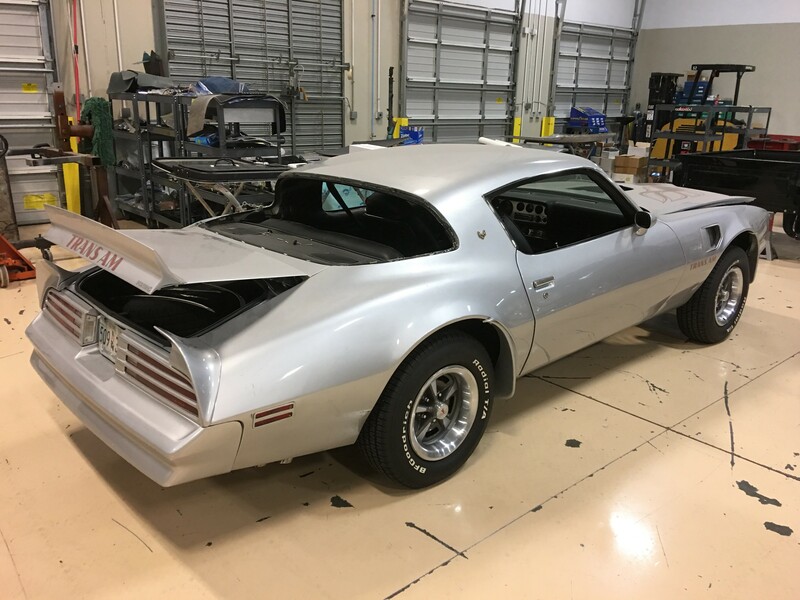 The product of a 5-figure restoration that was conducted by a rogue shop, the car rolled in to the RKM Performance Center in bad costume with lame performance. 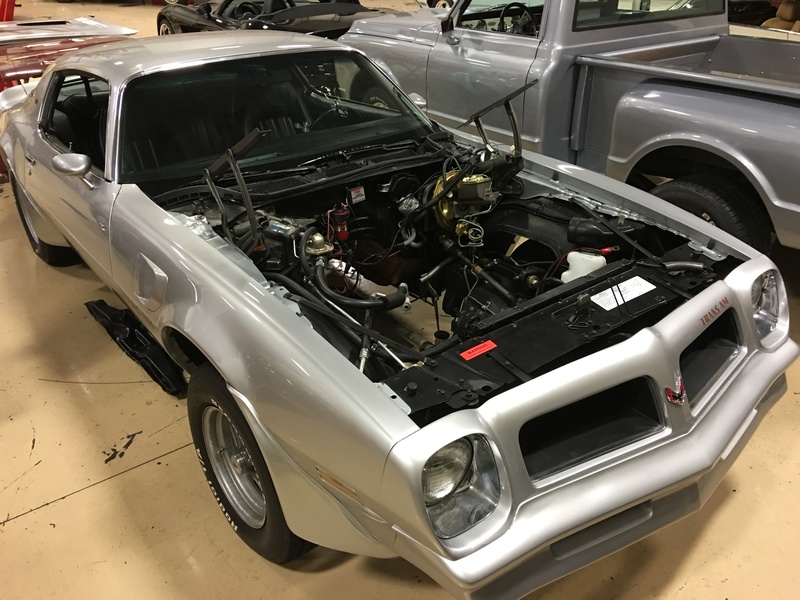 But, even though this Pontiac’s appearance wasn’t stellar, our initial focus was figuring out the car’s botched mechanicals. 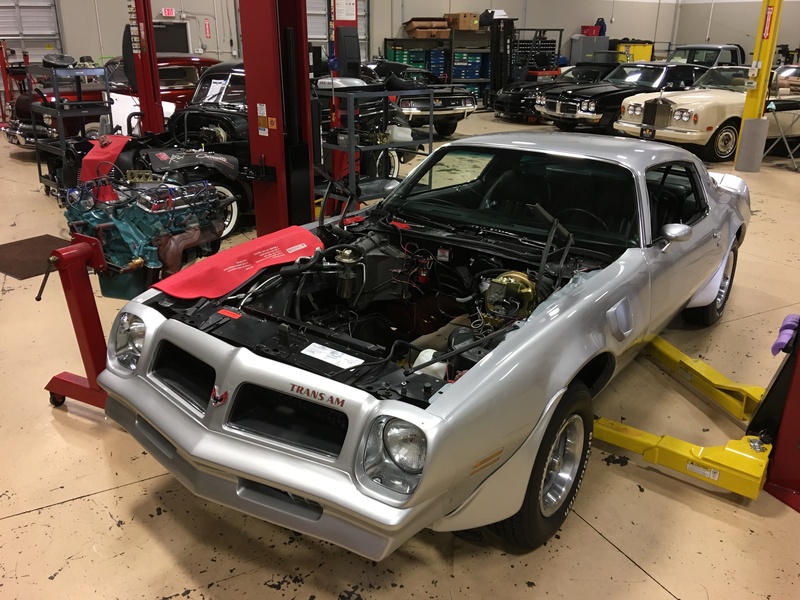 On that note, we pulled the engine and sent it to our friends at Gibbons Motorsports for a complete overhaul that included a replacement Quadrajet and a hot Comp cam. 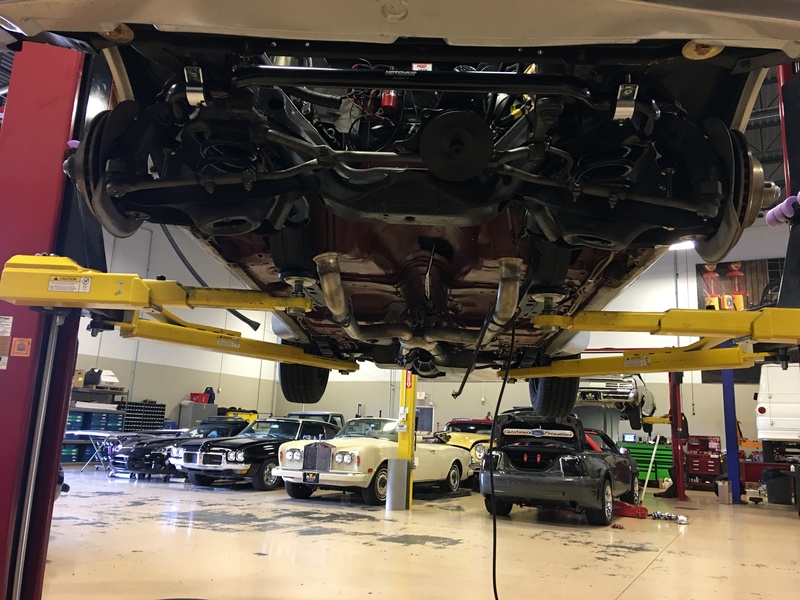 While that engine was out, we resealed the transmission and installed a new Pro Series differential. 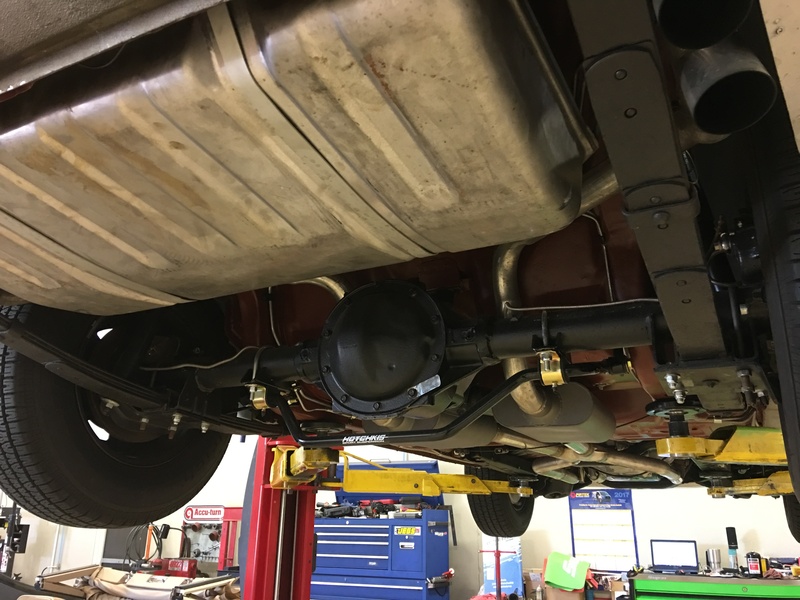 Then we sat everything down on a rebuilt suspension that caged new Hotchkis coils in fresh Hotchkis sway bars. 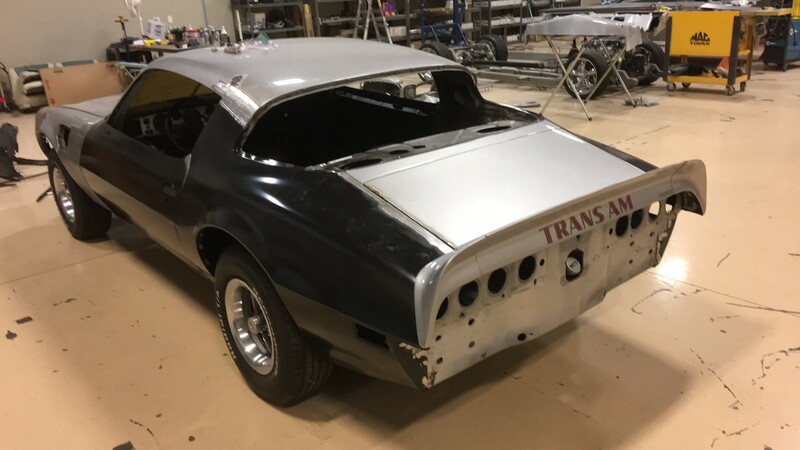 Time to detail it and load it on the trailer, right? 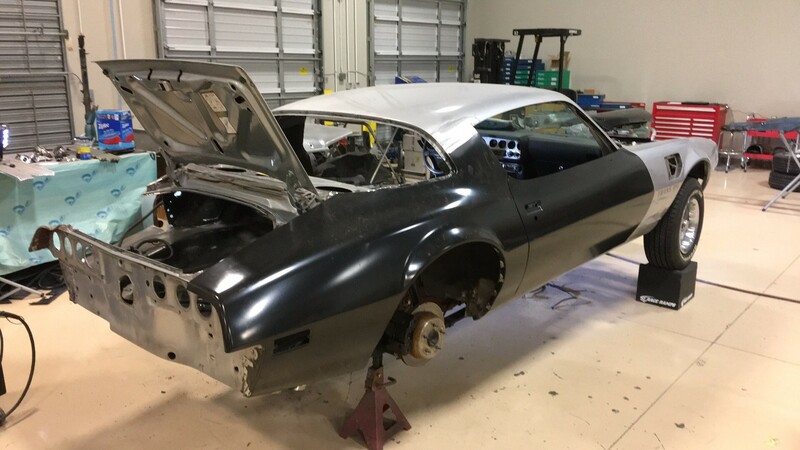 Despite its imperfections, the Firebird was a nice enough cruiser that was plenty capable of turning heads. 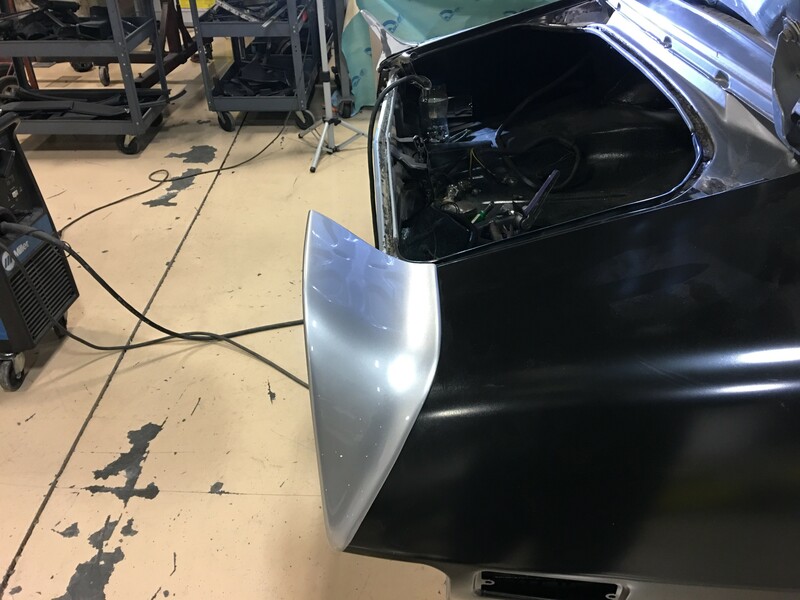 However, during a trip to our facility, the car’s owner was discussing its bodywork with Service Manager Jon Sipple. 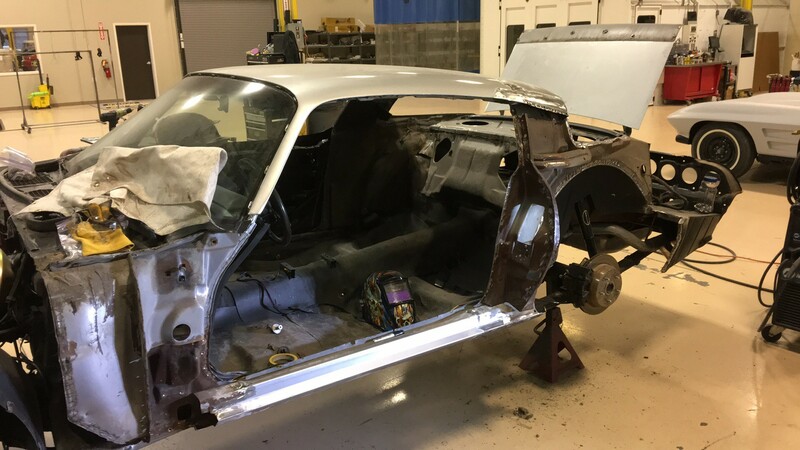 Well, one thing led to another, and it wasn’t long until this coupe was rolling in to fab for Act II: a frame-up freshening that included new panels, new paint and new wheels. 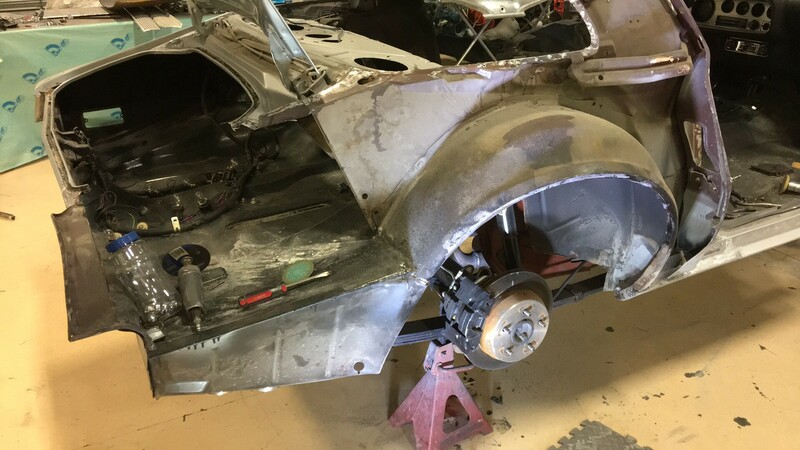 We knew the car had quite a bit of mud in it, and, as you can tell from our epic Impala build, we are vehemently opposed to using excessive amounts of filler. 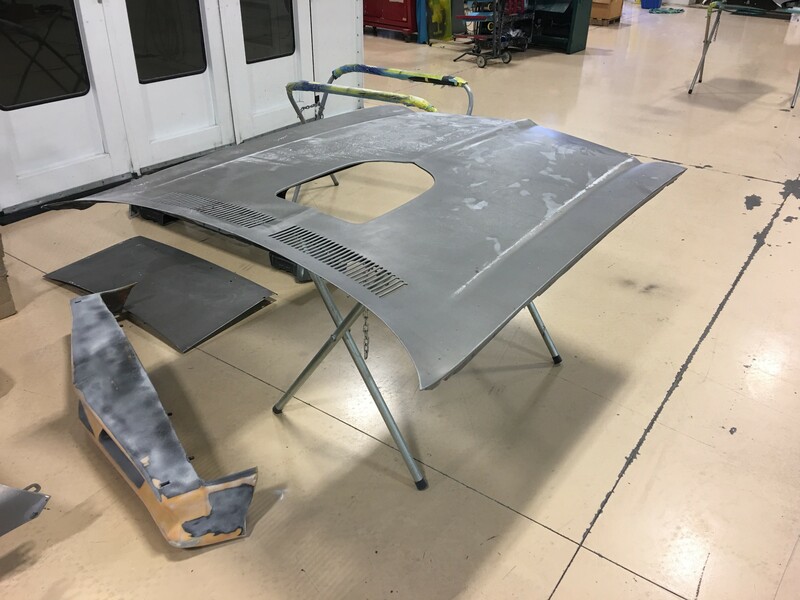 So, the first step was ordering new quarters. 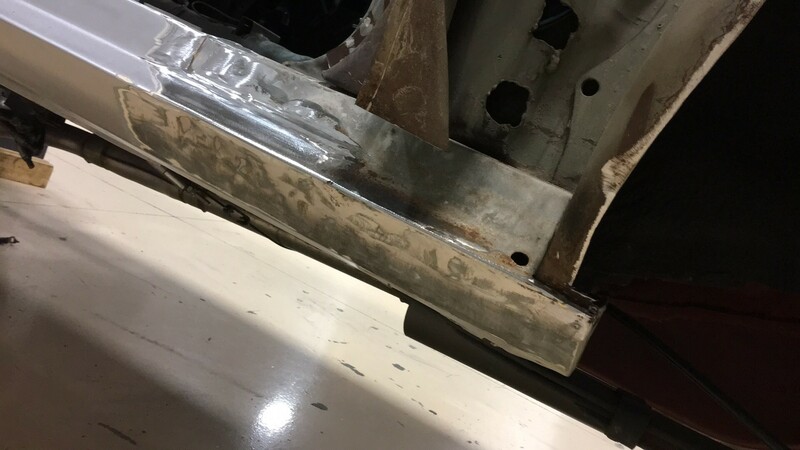 Pulling the old quarters allowed us to repair a common area of rust on second generation F-Bodies: the trunk jamb. 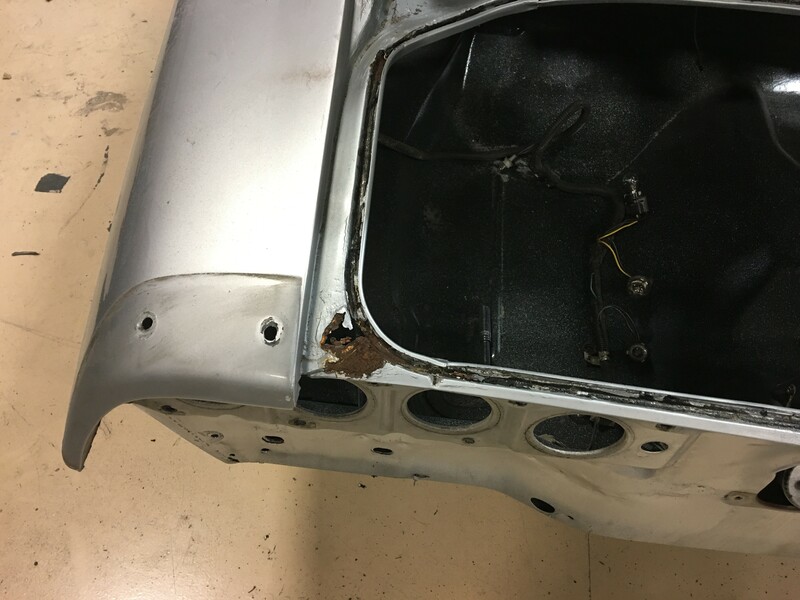 As you can see from our pictures, there was excessive rot around the car’s rear window, and the aforementioned jamb needed extensive rehab. 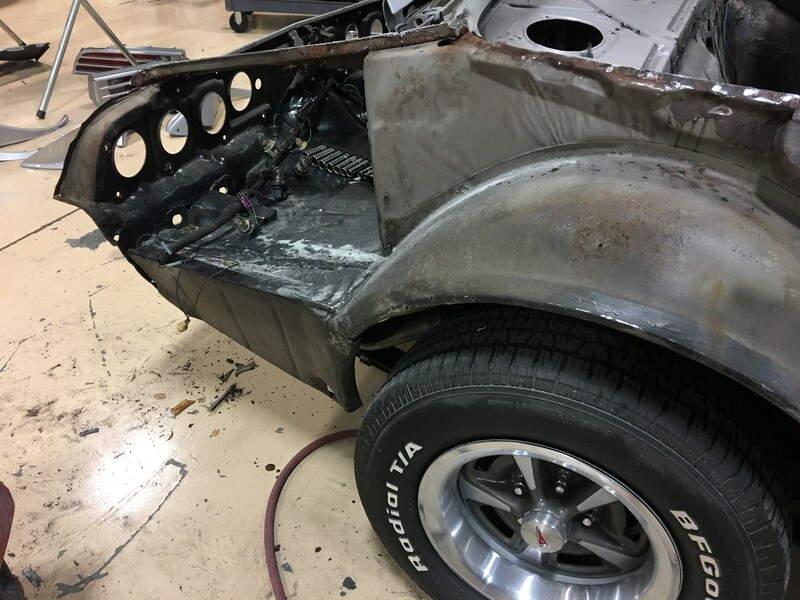 Once that was solid, we had some work to do on the car’s rockers and inner fenders – essentially where the water pools. 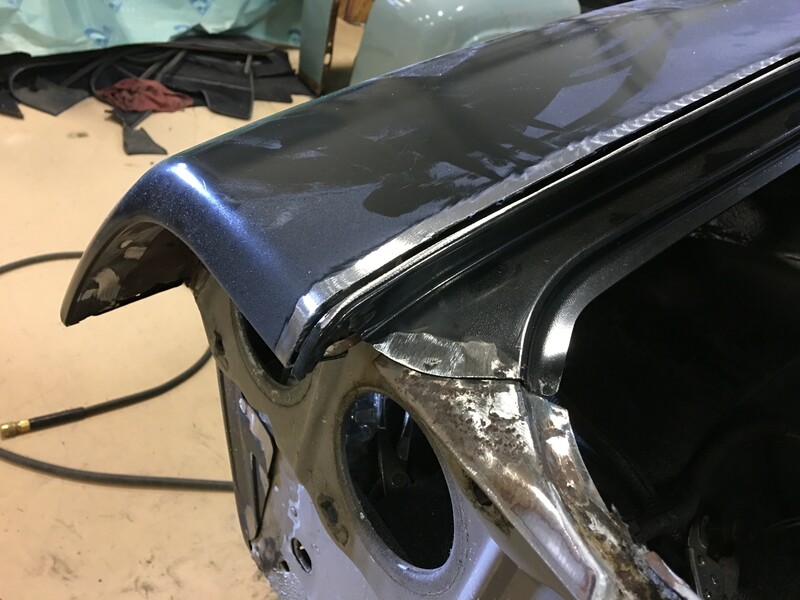 And finally, we could re-install the decklid to ensure everything was properly aligned. 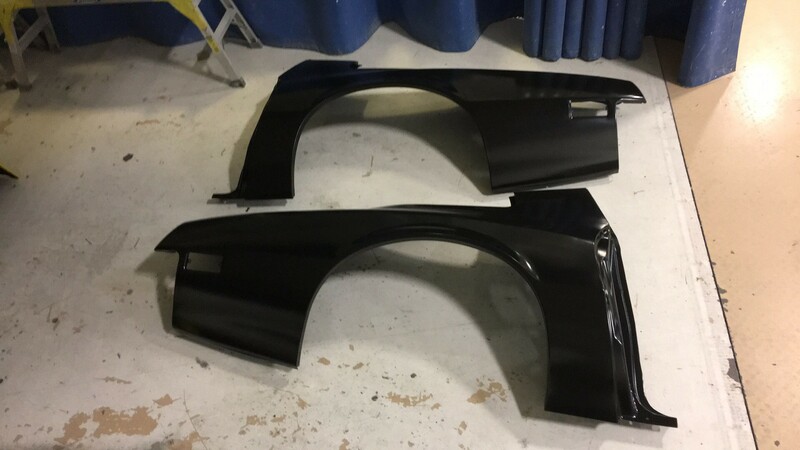 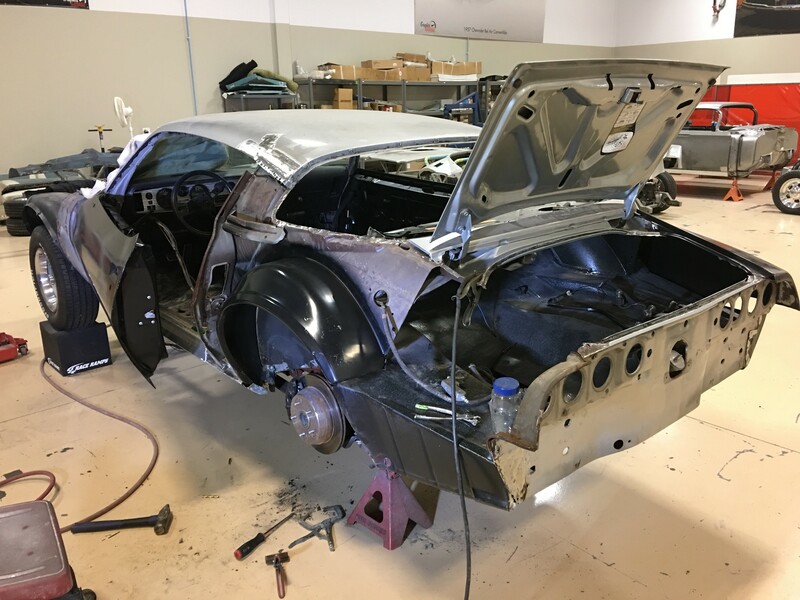 The doors were to be completely replaced, and we knew the fenders needed some pretty substantial patches, so we decided to disassemble the entire front-half of the car all at once. 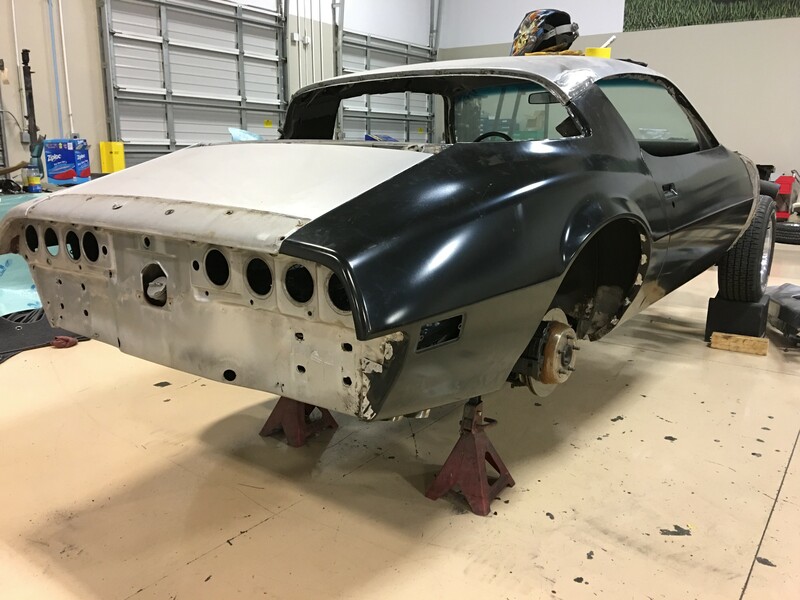 That’s when it happened… That thing that happens to virtually all car restorers during virtually every project… The surprise that lies beneath. 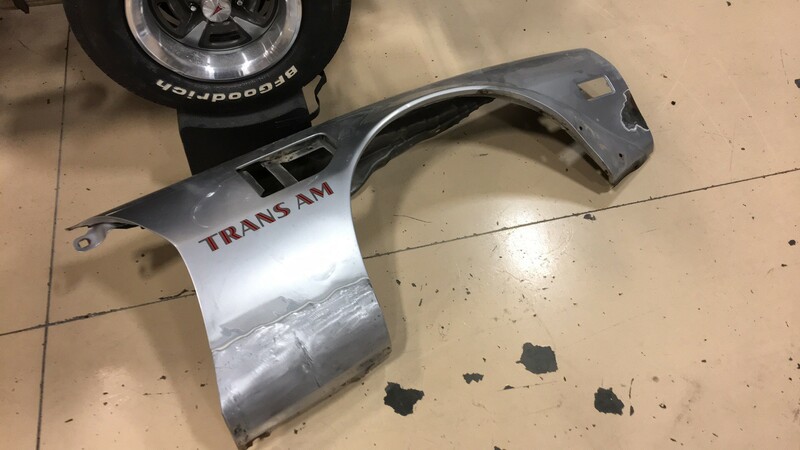 It appeared our Firebird had, at one point, endured a pretty serious hit at the base of its left A-pillar. 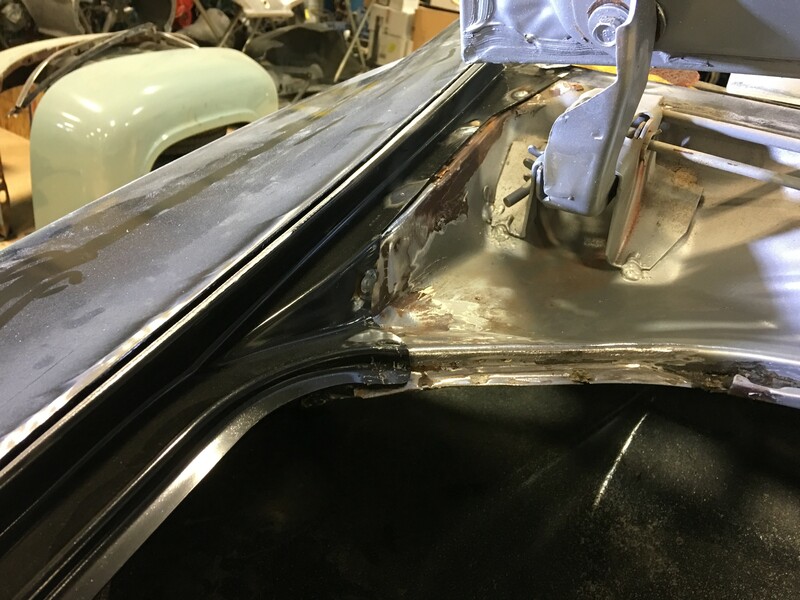 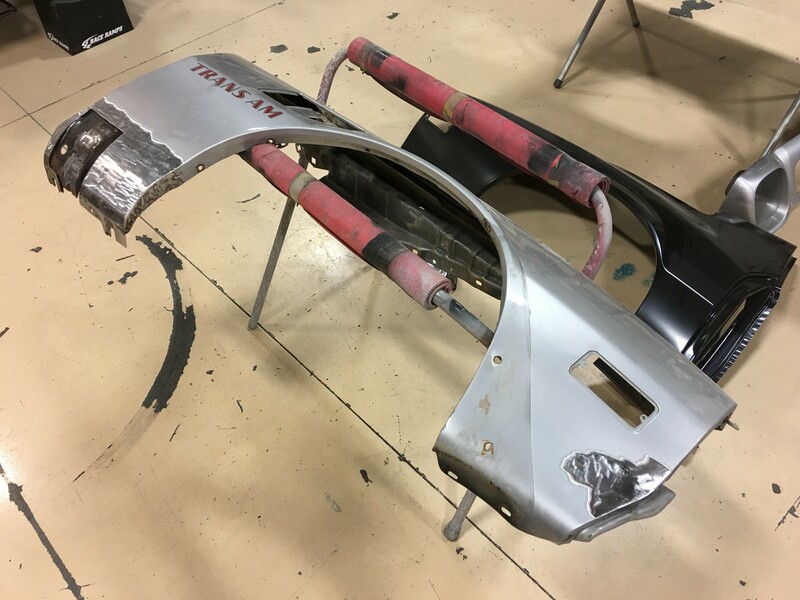 That meant, not only was there a mangled fender hiding under the previous restorer’s Bondo, the car also needed significant repair to its inner structure. 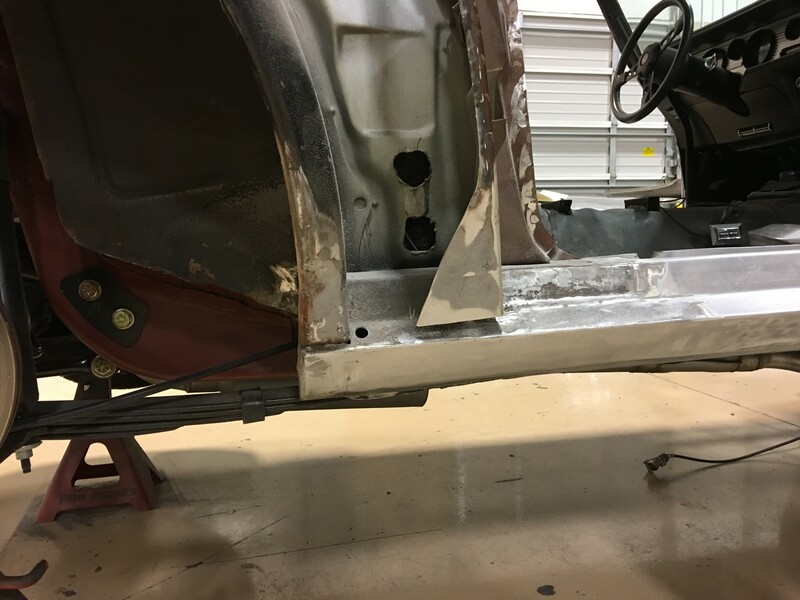 After a couple days massaging everything square, we could finally hang our new doors. 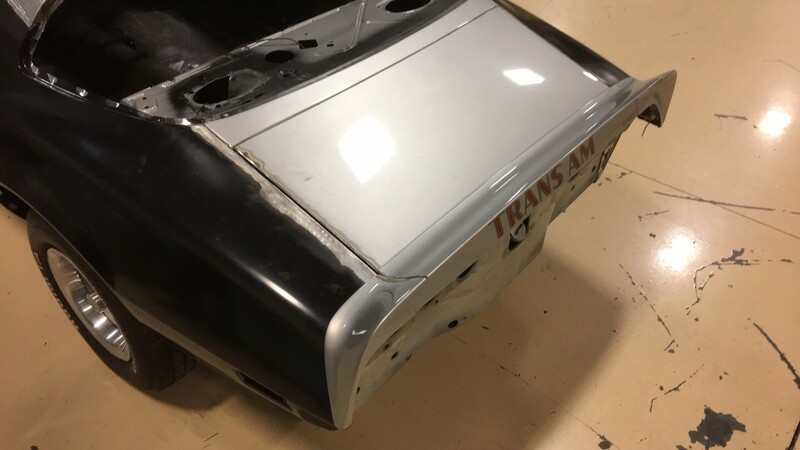 Next up was an easy patch for the passenger’s fender, and a not so easy patch for the driver’s fender. 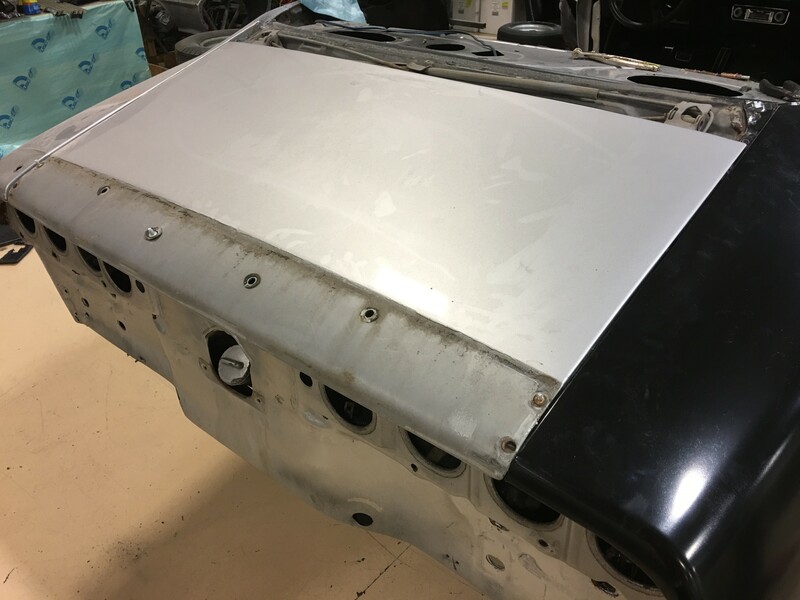 Luckily, Chris Lackey, the talented fab pro who has handled the entire project up to this point, knew exactly where to secure an OEM donor panel. 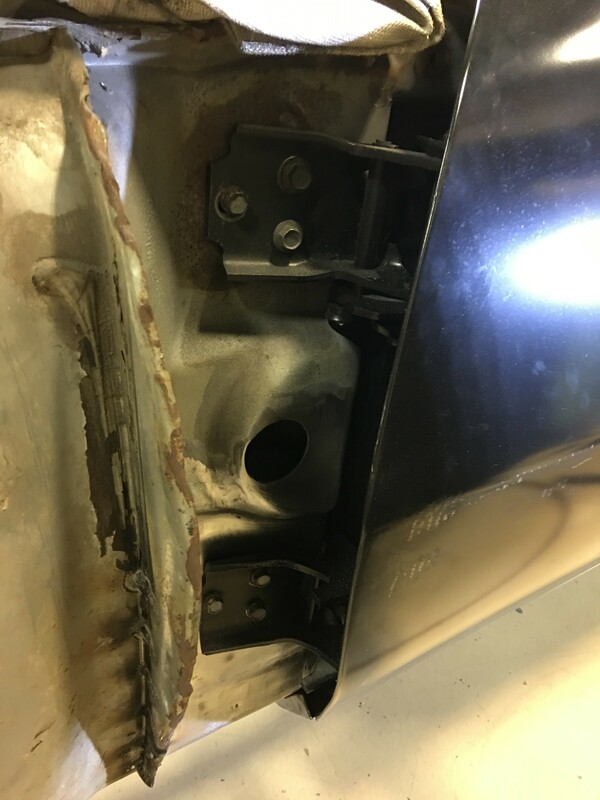 And once the two fenders were combined, we bolted everything back up and re-installed the car’s hood to check alignment. 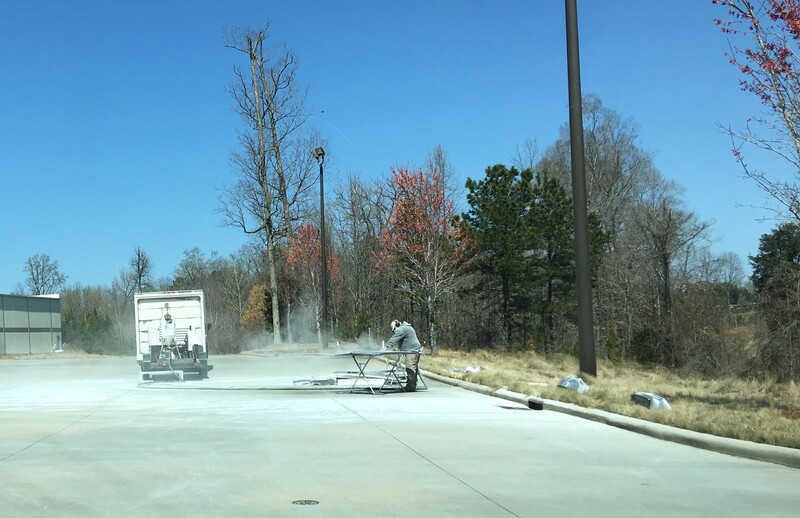 Then came the blasting… You might be thinking ‘why blast now, shouldn’t blasting be the first step of a project like this?’ Not always. 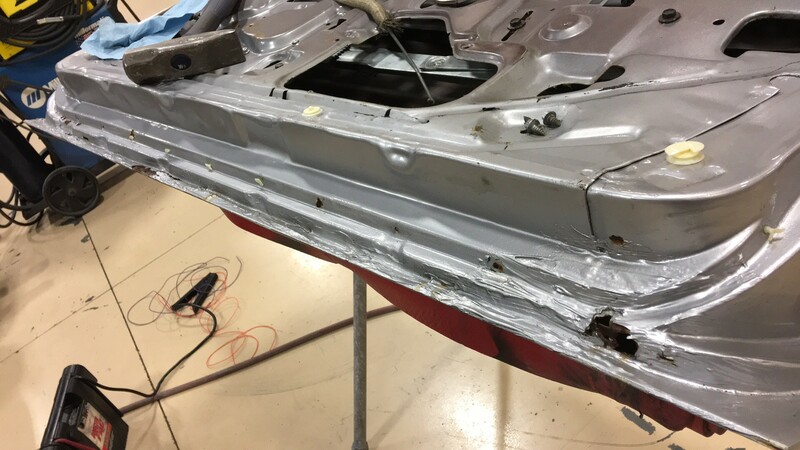 See, we knew most of the vertical panels of the car were either going to be patched or flat-out replaced. 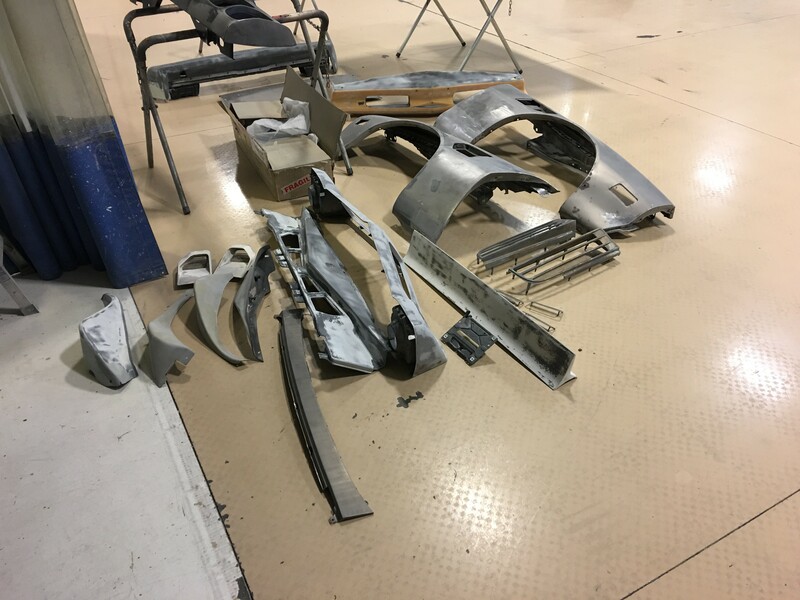 So, our thinking was: we’ll skip the haul fee, go ahead and disassemble the car here, then contract a mobile soda blaster to take care of the pieces that haven’t been touched. 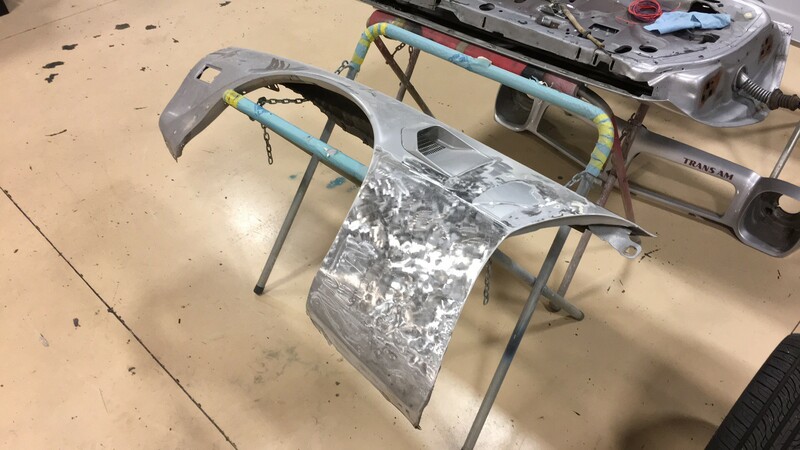 Additionally, this saved the labor of having someone hand-sand the car’s several layers of paint. 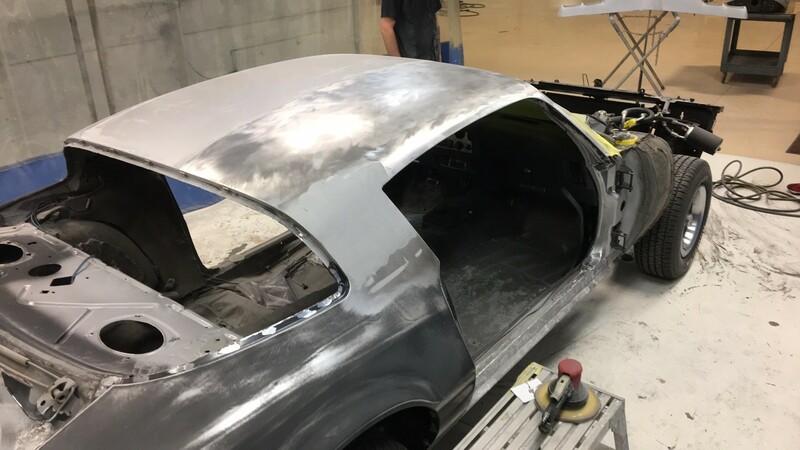 The mobile soda-blast worked beautifully, allowing us to make sure no other surprises were lurking on the car’s horizontal surfaces, and providing a clean start for paint prep. 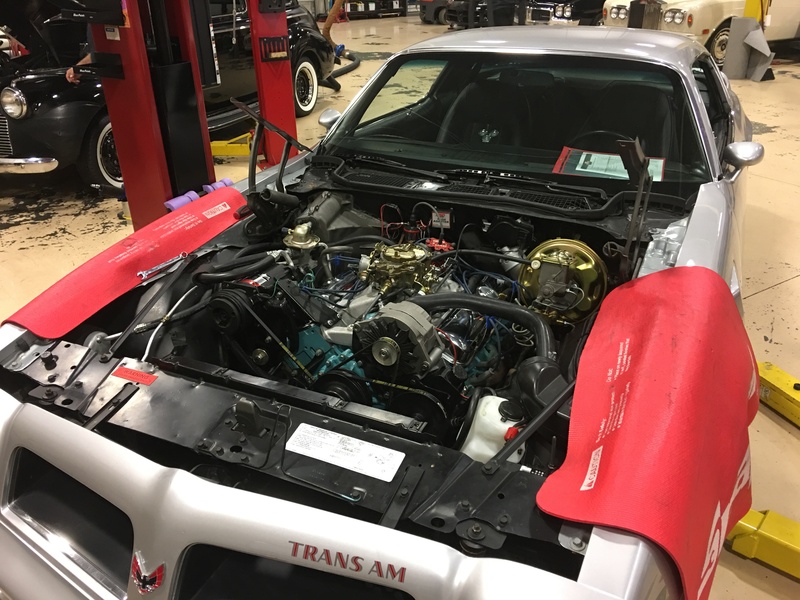 Check back in the coming weeks for more updates on this Trans Am and other exciting builds currently taking place at the RKM Performance Center. 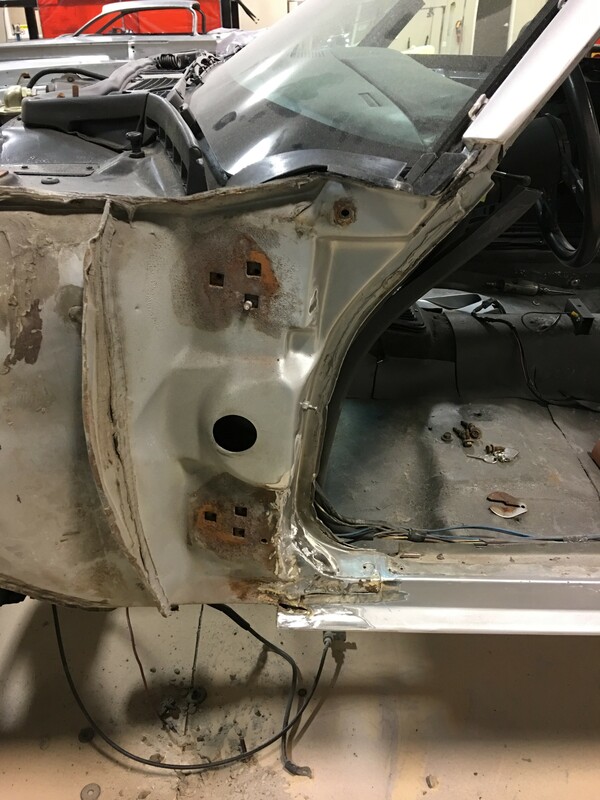 And remember, always choose your restorers wisely.